Creamy cheezy goodness, with every bite. A garlic bread lovers dream. 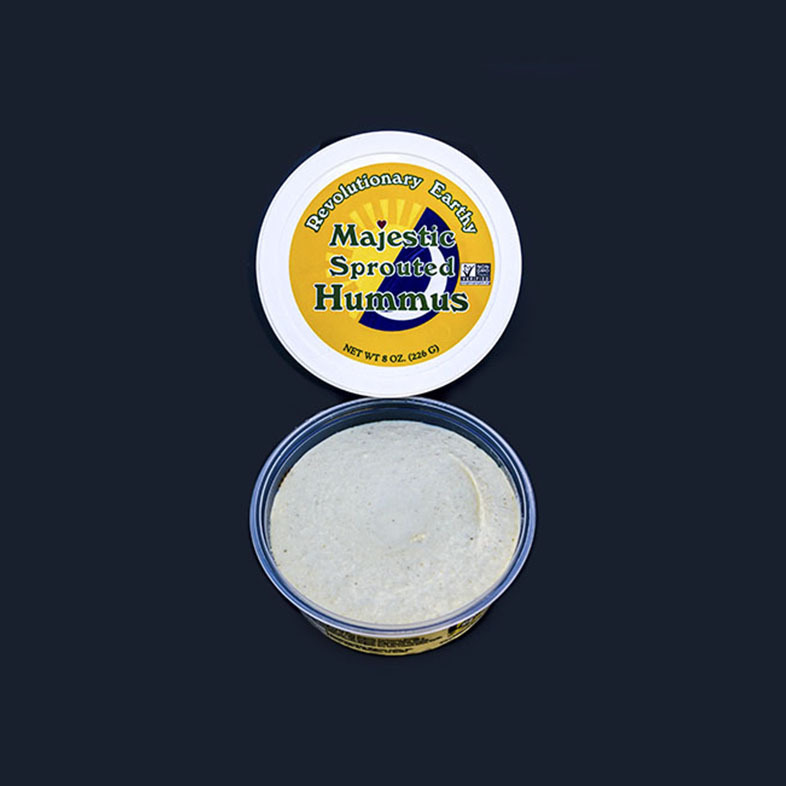 Spread over a freshly toasted baguette. 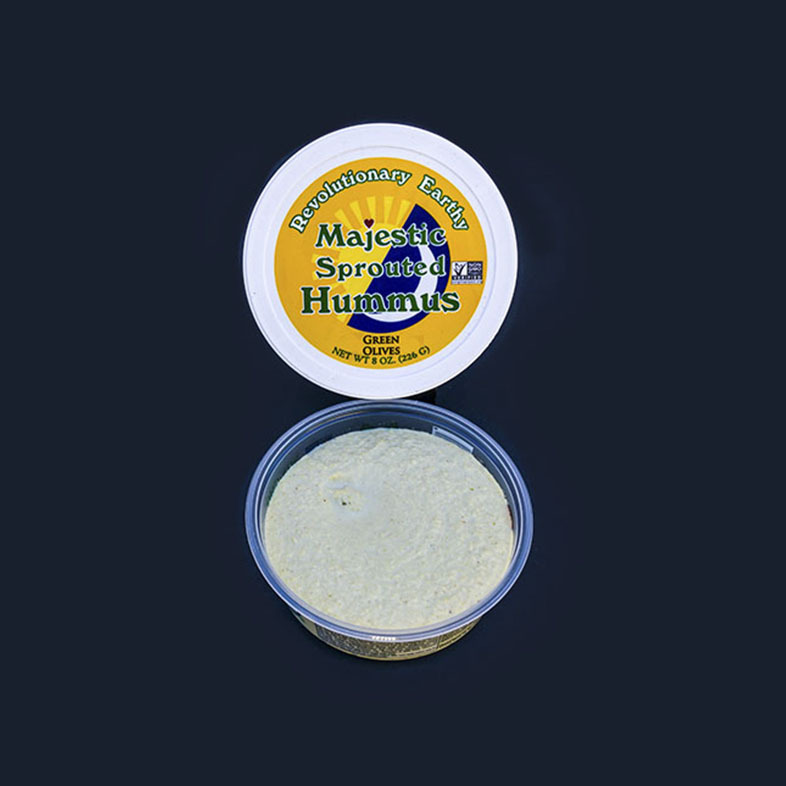 Majestic Hummus is made from 100% USA organic fresh raw sprouted garbanzo beans, organic cold-pressed olive oil, organic safflower oil, organic cold milled flaxseed, organic garlic, organic sea salt, milled cumin, and fresh lemon juice in our Green Olives Hummus.